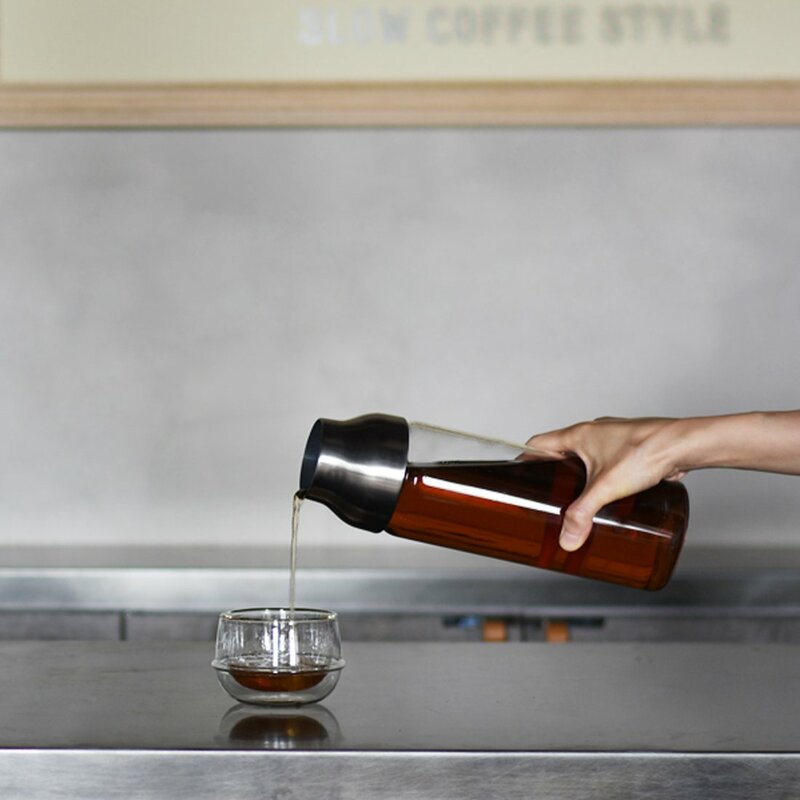 The CAPSULE Cold Brew Carafe, carafe for intuitive pouring in all directions. 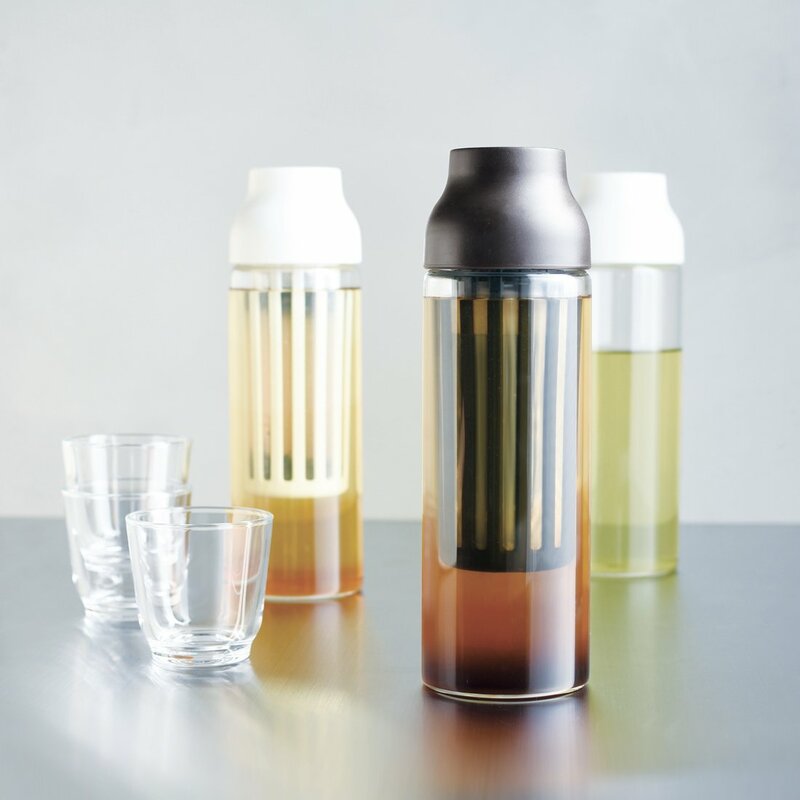 The Cold Brew Carafe comes with a mesh filter so you can easily make delicious cold brew coffee or tea. 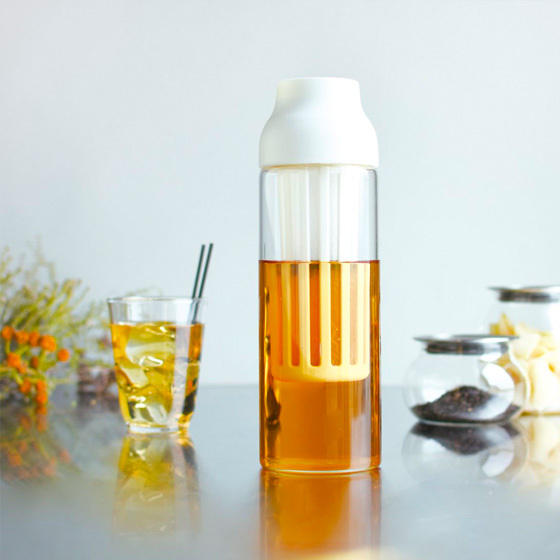 The lid of CAPSULE opens automatically when tipped and closes when set upright. 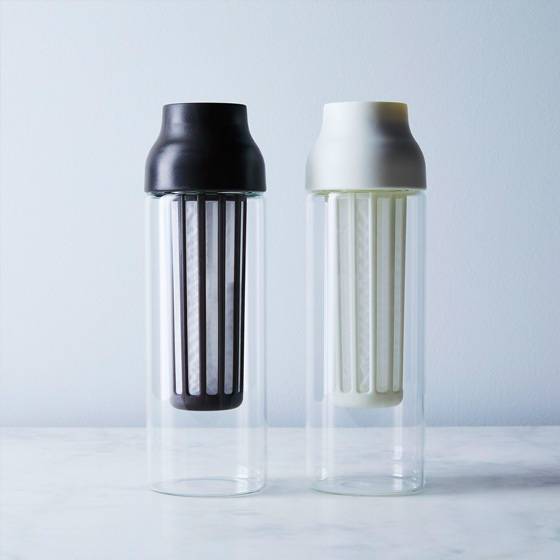 While simple in appearance, it has been developed through close studies of the optimal size and specification of various parts.